Early in U.S. history, per-capita incomes varied widely, with some richer states boasting more than four times the average income of poorer ones. From 1880 to 1980, though, the gap closed steadily — a phenomenon scholars call “income convergence.” Part of the reason was labor mobility, as lower-income workers were able to move relatively easily to locations with higher-paying jobs. But why did this leveling effect slow about 30 years ago? Research suggests that the phenomenon may be partly explained by housing prices and more stringent land use and zoning laws that made certain housing markets increasingly unaffordable for lower-wage workers. The concept of more restrictive zoning — even deliberately exclusionary zoning — in high-income neighborhoods is a familiar one in many regions, and it turns out that the aggregate effects may have helped reshape opportunity in the United States. A 2012 paper from researchers at Harvard University and the Harvard Kennedy School, “Why Has Regional Income Convergence in the U.S. Stopped?” sought to analyze precisely this relationship between housing prices and rates of income convergence. The authors, Peter Ganong and Daniel Shoag, analyze data from the U.S. Census and the American Community Survey. They also examine land-use decisions in state appeals courts and use this as a measure of zoning restrictions in the states. Income convergence in the United States increased rapidly between 1940 and 1980. The rate slowed between 1981 and 2010, and in some years during the second period, there was essentially no convergence. Since 1960 the difference in housing prices between rich and poor areas relative to differences in income has become increasingly large. High-income areas have become prohibitively costly for low-skilled workers due to increasing housing prices in these areas. Low-skilled workers are moving away from these areas, while high-skilled workers are moving in. This is a contrast to earlier periods, in which both high- and low-skilled workers were migrating to these areas. Housing-price regulations are highly correlated with price increases: “Housing supply constraints reduce permits for new construction, raise prices, lower net migration, slow human capital convergence and slow income convergence.” In addition, the authors find that land-use restrictions have become increasingly common over the past 50 years. Between 1960 and 2010, the number of such regulations quadrupled. The study concludes that land-use restrictions have resulted in “limited access for most workers to America’s most productive cities.” Movement of labor across the states helps explain about 30% of income convergence — the reduction of hourly wage inequality — between 1940 and 1980. If that dynamic had held between 1980 and 2010, wage inequality in the United States would likely be 10% smaller, the researchers state. 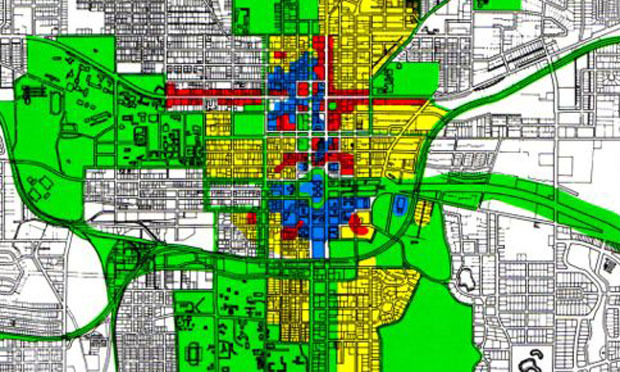 For more perspective on how zoning has shaped the American landscape and the composition of neighborhoods, see the 2012 study “Zoning and Diversity in Historical Perspective,” published in the Journal of Planning History. Citation: Peter Ganong; Daniel Shoag. "Why Has Regional Income Convergence in the U.S. Stopped?" Harvard Kennedy School Working Paper, July 2012.